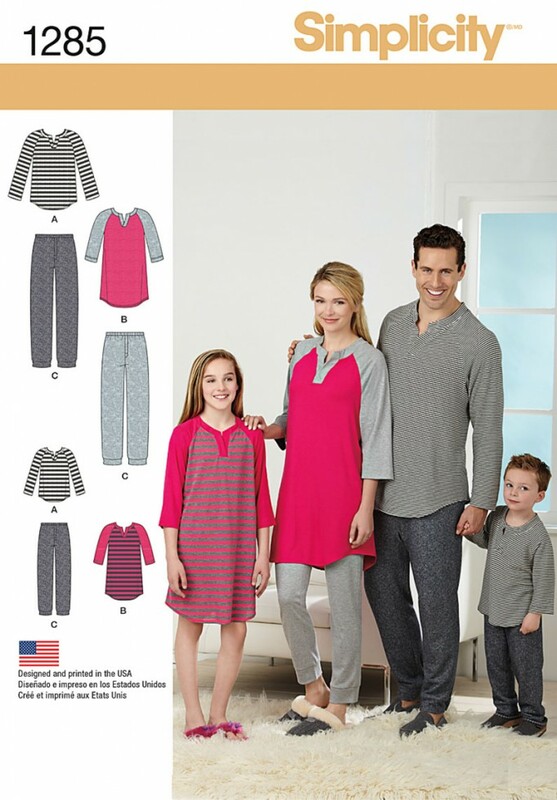 Childs, teens and adults knit top has raglan sleeve & is in two lengths. Pants with elastic waist have optional back pocket. Simplicity sewing pattern.